This is a custom glass mosaic backsplash for a kitchen. I love making these special mosaics. 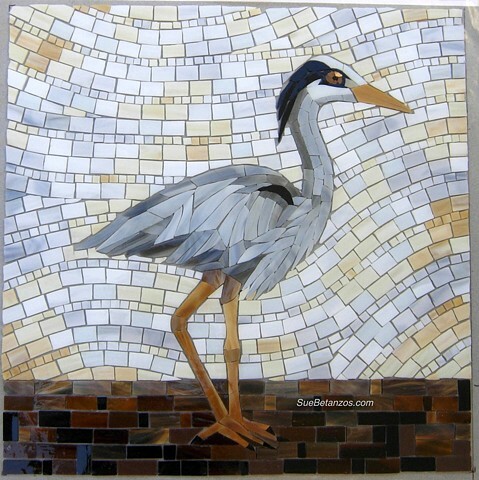 If you would like to order your own custom mosaic contact me here at my website. Bathrooms, kitchens, interior, exterior and more are offered. For more photos of this project, visit my blog where the process of making the mosaic and the final installation can also be seen. Glass is the medium I work in, specifically stained glass. It offers so much depth and variety of color shades as well as versatility.